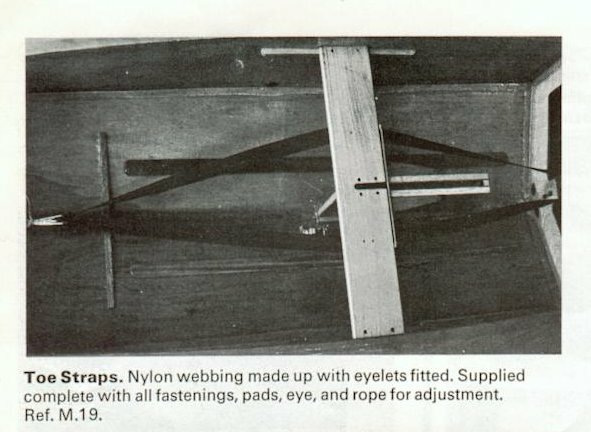 Toestraps allow the helm and crew to hike or sit out, to counteract the heeling which would otherwise result from the couple formed by the forces acting on the sail (to leeward) and the forces acting on the daggerboard and rudder (to windward). 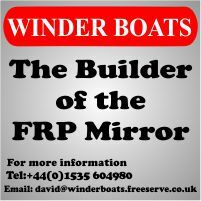 They were not supplied with the original boat (remember, early Mirror were built down to a price), so were an optional extra. The basics have not really changed much. 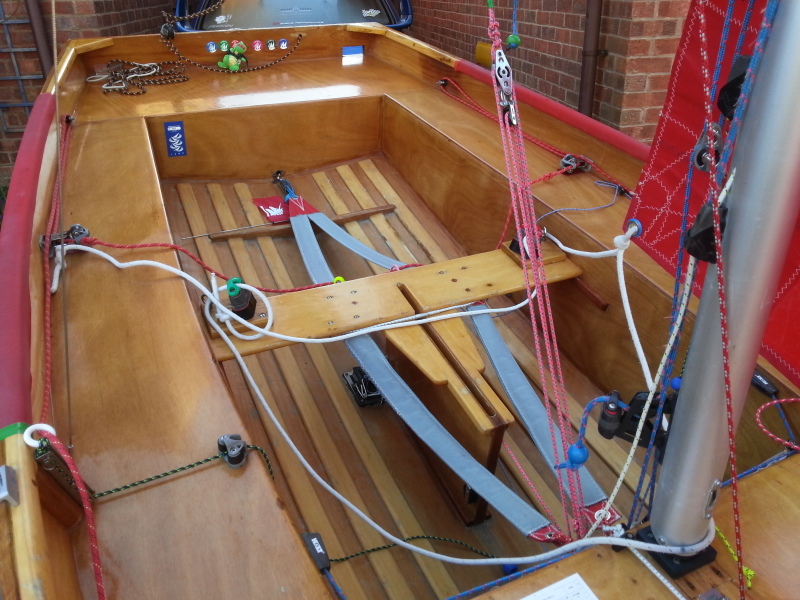 There are, generally, toe straps on each side of the boat, one end fastened somewhere near the back of the cockpit, the middle to the thwart (normally underneath) and the other end to a point, on the stowage bulkhead. Finding strong points at the back and front of the cockpit is a bit of an issue. 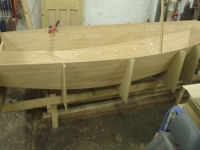 If you don't mind having them start on the centreline, then, if you place your fitting (eye, cleat,...) on the centre join, right next to the rear bulkhead, you should end up with your screws going through the floor and into the skeg. If you want them further outboard, you may be unlucky. In my experience, attaching the toe straps to the footrest is not a good idea. It's only a matter of time before you will start to pull the footrest off the floor. If you are lucky, the builder may have thoughtfully provided some blocks inside the aft tank where the aft bulkhead meets the floor. If not, you may be out of luck. Again, if you don't mind the crew's toestraps ending on the centreline, you should be able to pick up the vertical beams inside the stowage cuddies each side of the mast web. 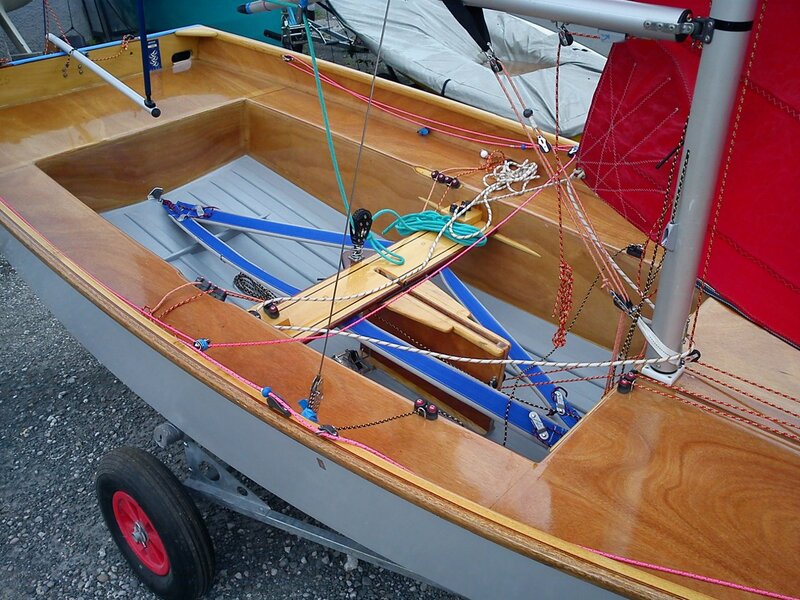 Or you can have them further outboard, but you will need to mount them either low down, right by the floor, or high up, near deck level, and put backing plywood pads behind them to beef up the stowage bulkhead locally. If the crew is smaller than then helm, some some divide the toestraps at the thwart, fixing the crew's toestraps further outboard. 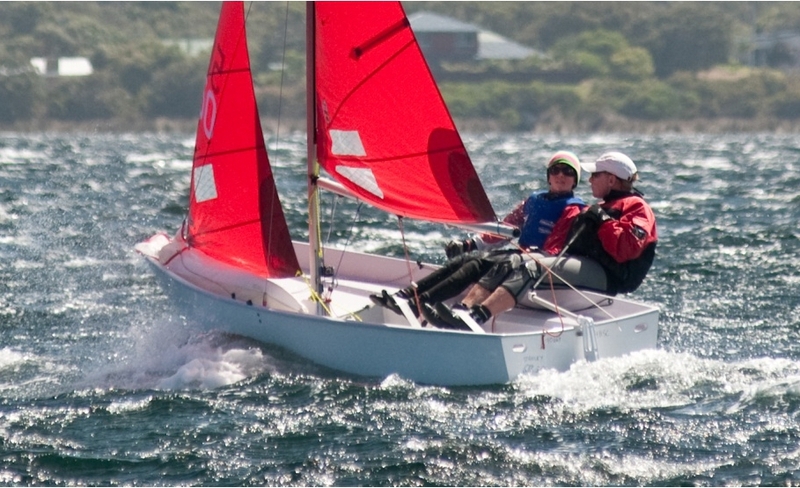 If you helm is really tall, a singe toestrap down the centreline aft of the thwart might be a better option. It's a good idea to use some thin elastic to hold the toestraps up and outboard, so they don't just flop around when not in use, this makes it quicker and easier and to get your feet under them when you tack or gybe. 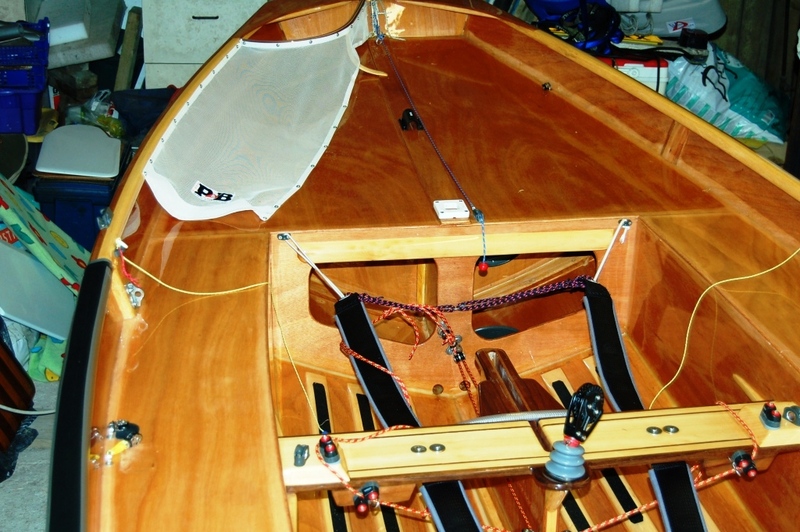 Some people like to be able to adjust the tension, with a line attaching the toe straps to the stowage bulkhead or eye near the aft bulkhead, or a cleat instead of a knot, or even a cleat instead of an eye.